This time I was up North I’ve been gadding around a bit seeing people and places I haven’t seen for a while. Monday I met up with my old college friend Ross and went over to Sheffield to see another old college friend. Having been brought up in Lancashire I have rarely ventured over to Yorkshire so I reckon that was a pretty brave step. Wednesday I went to Wilmslow in deepest up-market Cheshire. I used to cycle there when I was a teenager, very much out of my class for a lad from Seedley. Now it is even more upmarket as the town tries to help some of the highest paid football players in the world part with their hard-earned cash. At least one car sales place seems to have only 6 figure price tags on the forecourt. Thursday I really put myself about a bit. In the morning I went by train up to Leyland in North Lancashire and met up with a former colleague and his wife for lunch. It was in a golf club restaurant so it has to be classed as ‘lunch’ even though it was dinner time. I do try to adapt to changing circumstances though I guess I’m a bit like a chameleon with a slow response mechanism. Then I got back on the train and went to Sandbach in south Cheshire to see my uncle and have tea. I’m allowed to call it ‘tea’ because though we were in Cheshire my uncle is originally from Seedley like me so working-class meal time nomenclature is appropriate. Otherwise it would have been ‘dinner’ or even ‘supper’. It can get very confusing flitting about between working class and posh. I finally got back to the house at 22.30 and the cat was right put out after being on his own so long. If he could have articulated it I’m sure he would have made it clear that attending to his requirements was half the reason I was there. Then on Friday I indulged myself. 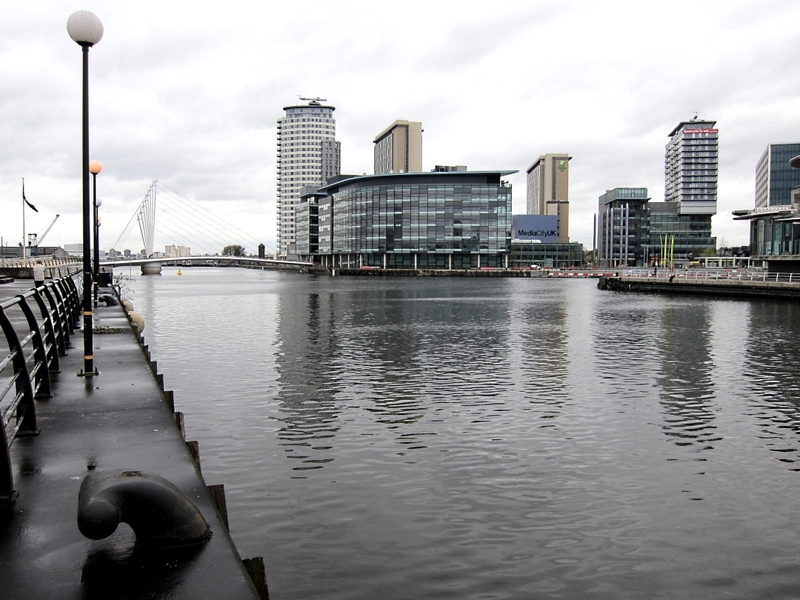 I met up with Ross again and went to by train and metro to The Lowry and on walkabout in Salford Quays. Though the metro was introduced to Manchester many years ago now it was the first time I had been on it. 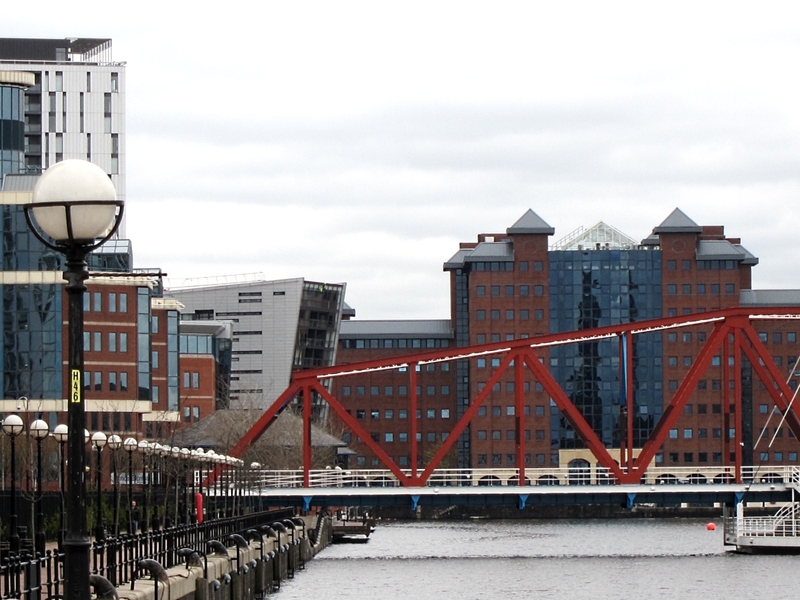 It seemed strange going around Manchester on rails with overhead electricity wires. 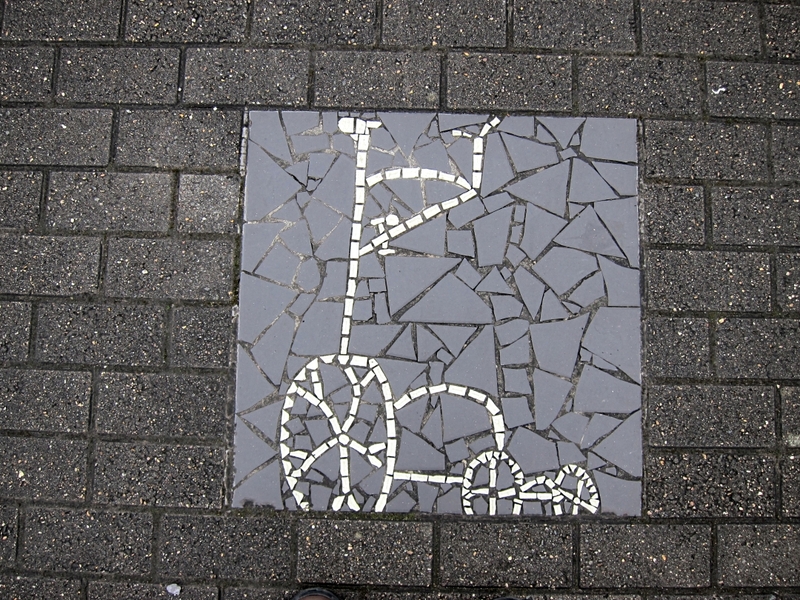 It brought to mind the trams and trolley buses which served the town centre when I was a lad. Trams running on rails which were subsequently tarmaced over and trolley buses running from overhead cables which were subsequently removed. The metro has been so successful that it is continuing to be extended including to a new stop at ‘Media City’ where swathes of the BBC are being relocated and pleasingly close to The Lowry in the pouring rain. 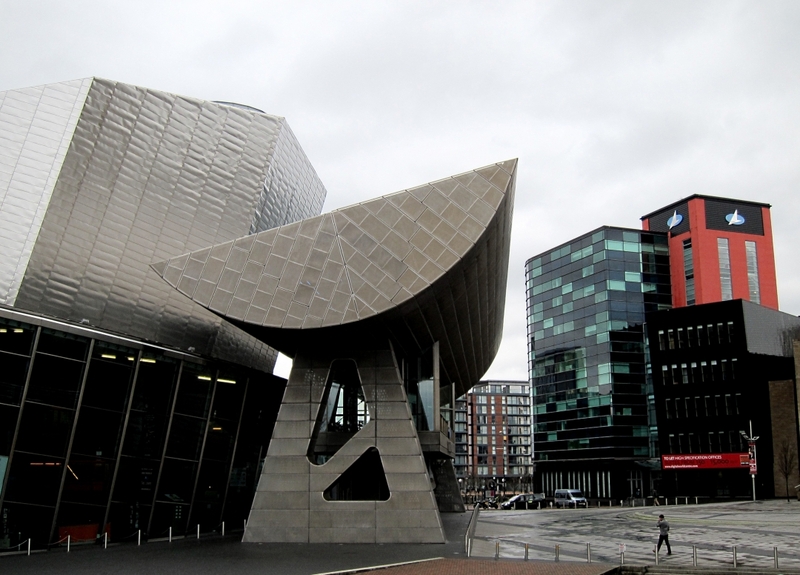 ‘The Lowry’, as it is properly called, is an art gallery housing a permanent display of works by the late and very great artist LS Lowry and a performance arts venue. 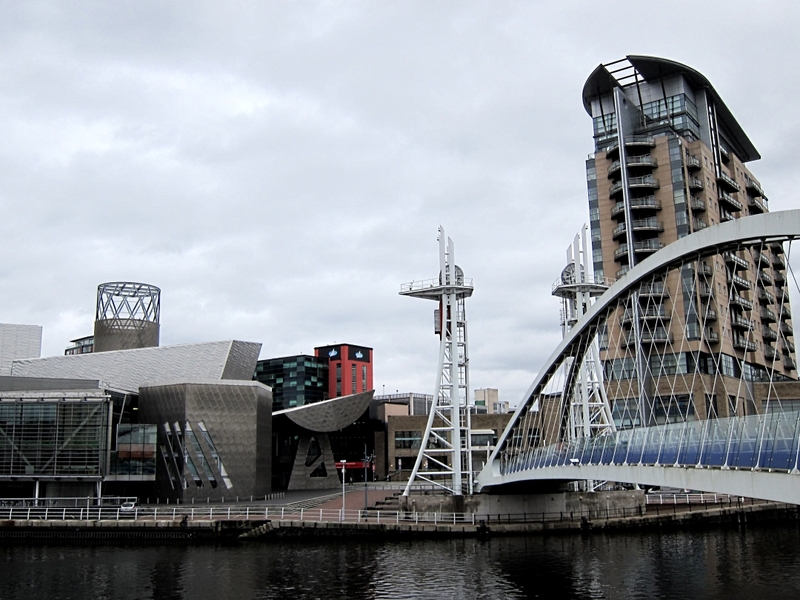 Completed in 1999 it was a very bold venture, innovative and unconventional architecture on the old Salford Docks. 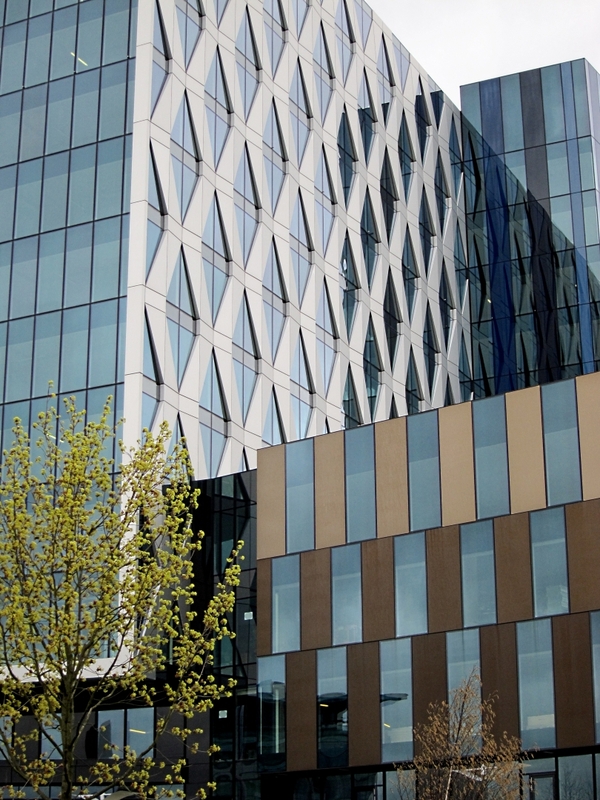 Very pleasingly it has been followed by other equally challenging architecture and the whole area is an exciting amalgam of buildings and spaces where straight lines and the horizontal and vertical are virtually banished. So too are pale colours and pastel shades. Bold white, black and primary colours are everywhere and rarely seem to clash. The inside of The Lowry itself is a series of multidimensional sweeping curves in deep purple, orange and red. 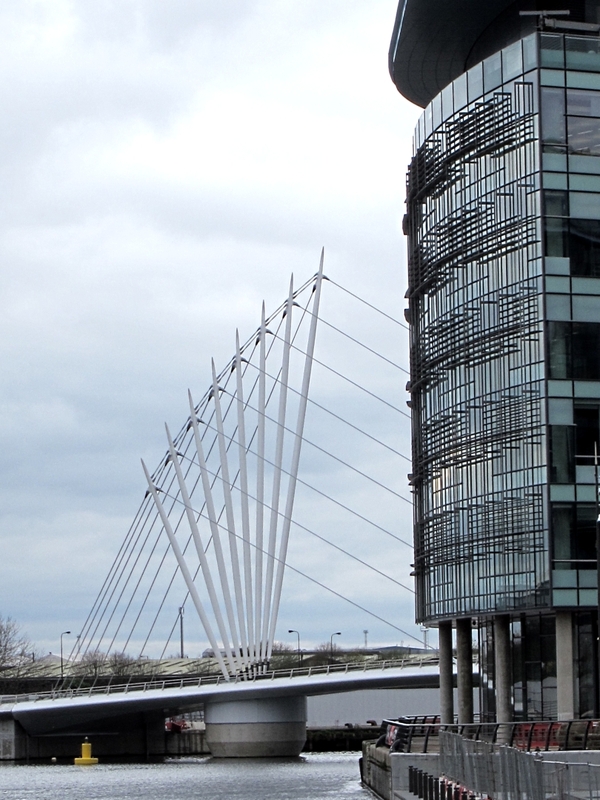 Outside is a curving white footbridge bridge reflected in the bronze glass facade of the offices on the opposite side of the dock. Further down the dockside a new and equally attractive footbridge has recently been completed. 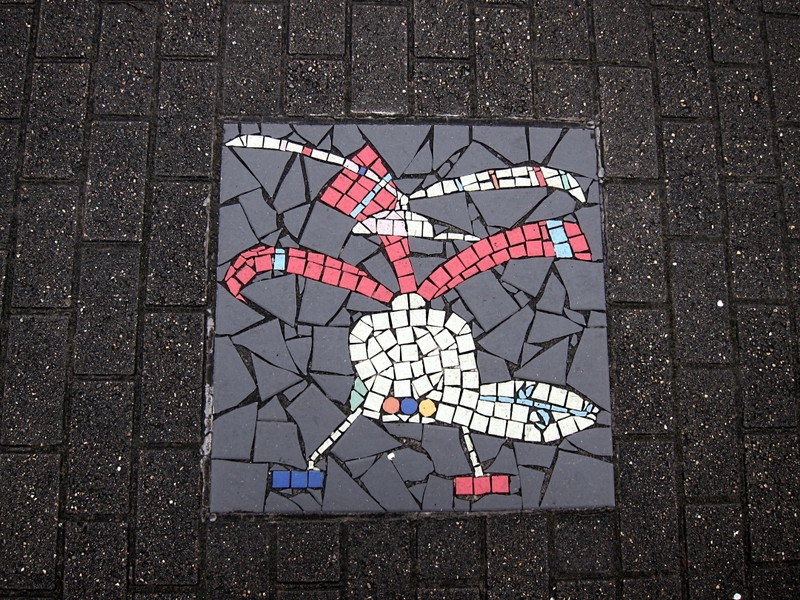 The paving is brightened up by mosaic cartoons. 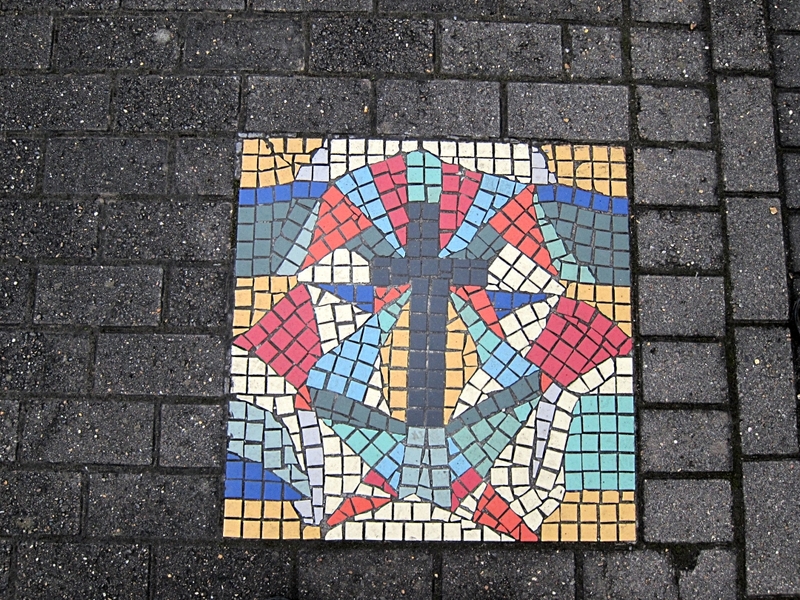 Even under grey skies the whole area is colourful and attractive. I must go back one day when the sun is shining. 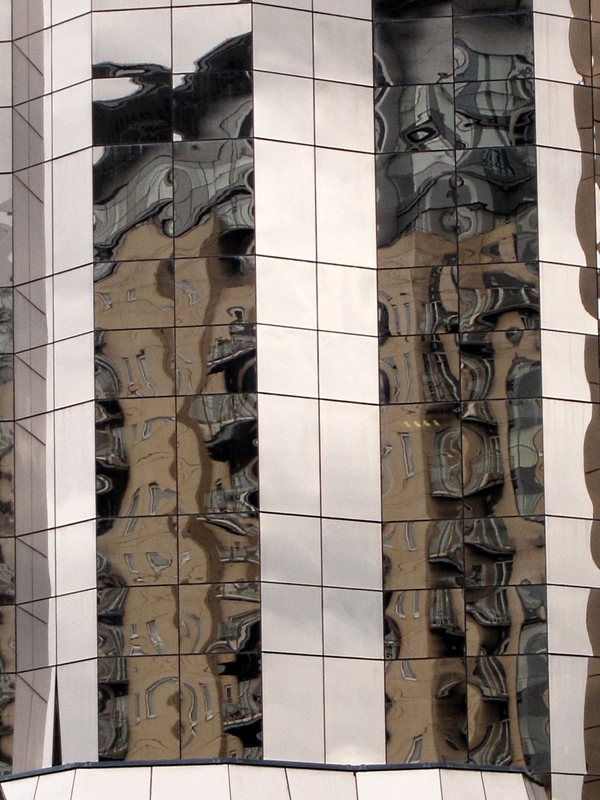 This entry was posted in Art, Grey Britain, Reflections. Bookmark the permalink.